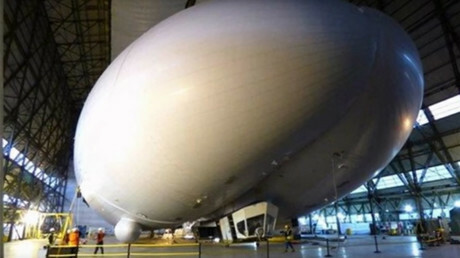 The world’s largest aircraft has crashed in the English county of Bedfordshire, injuring two people. Airlander 10, which is 92 meters (300ft) long and weighs 20 tonnes, careered into a field on Saturday after breaking free from its moorings. A woman was taken to hospital following the incident in Cardington, where the Airlander is based, and another member of staff was injured. After the moorings broke, a safety system which deflates the aircraft was deployed, according to owner Hybrid Air Vehicles Ltd. The Air Accidents Investigation Branch is looking into the incident, which was the second time the aircraft had broken free of its moorings. The first time was in August near the plane’s hangar. Airlander 10 had completed a series of test flights on Friday, hours before the incident. 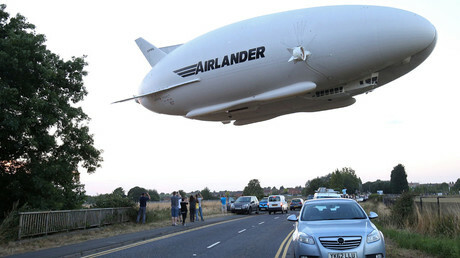 Hybrid Air Vehicles confirmed the crash, saying: “Today there was an incident with the Airlander aircraft at Cardington airfield. The aircraft was not flying at the time of the incident. Our initial assessment is that the aircraft broke free from its mooring mast for reasons that will be investigated. “The aircraft has a safety system which operates automatically in circumstances of the aircraft breaking free of its mast, and is designed to rip open the hull and deflate the aircraft. This is a safety feature to ensure our aircraft minimizes any potential damage to its surroundings in these circumstances,” it added. “The aircraft is now deflated and secure on the edge of the airfield. The fuel and helium inside the Airlander have been made safe. A member of HAV staff sustained minor injuries and was taken to hospital for assessment as a precaution. She has since been discharged. “A separate member of staff also sustained minor injuries while dealing with the aftermath of the incident. A number of local roads and a local footpath were temporarily closed off by Bedfordshire Police and we apologize for any inconvenience this has caused local residents. The aircraft is preparing to become a luxury commercial liner for 60 guests from 2019.